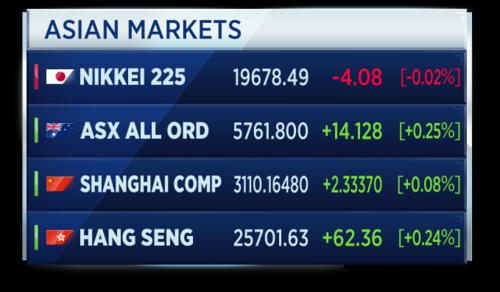 Good morning, and welcome back to World Markets Live. We'll begin full blog coverage from 0600 GMT, but for now, here are the opening calls for European markets, courtesy of IG. 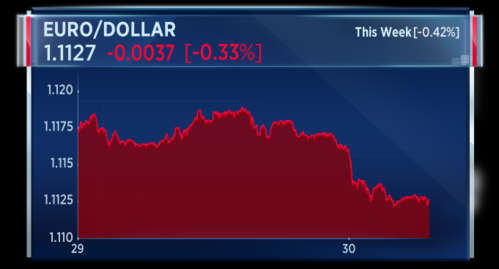 The Draghi Put weighs on the euro as the currency loses ground against the dollar after the central bank boss says stimulus measures need to stay. Theresa May and Jeremy Corbyn take to the airwaves to rally votes, as the U.K. party leaders face a grilling on their manifestos but decline to debate head-to-head. Talking tough and mending ties. 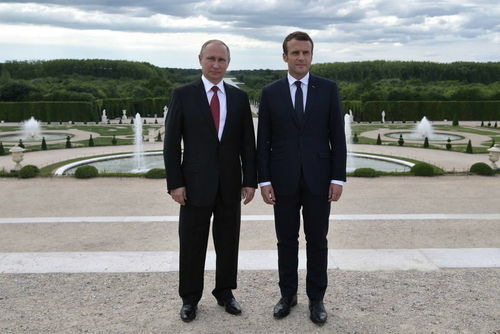 French President Emmanuel Macron hosts Vladimir Putin at Versaille to denounce election meddling and tackle the Syrian crisis. A victory in court for Akzo Nobel. Dutch judges reject investors' call for action against the company after the company turned down a 25 billion euro offer from PPG. Speaking at a parliamentary hearing in Brussels, the ECB chief Mario Draghi offered a cautious outlook on inflation. ECB President Mario Draghi has signalled the central bank is not yet ready to unwind its fiscal stimulus, despite better economic growth across the Euro Zone. This caused the euro to turn lower against the U.S. dollar. Ryanair reports full year net revenue of 6.65 billion euros. Net profit came to 1.32 billion euros, up 6 percent year on year. The airline said it carried 120 million customers in the full year, versus 106.4 million the year before. 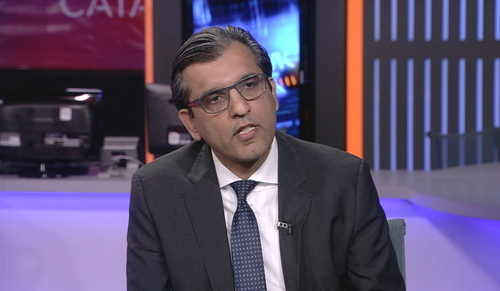 Salman Ahmed, chief strategist at Lombard Odier IM, says Mario Draghi is going out of his way to protect the central bank’s forward guidance. I think the main concern the central bank has right now is that as the recovery is broadening, as Draghi mentioned in his comments, and it’s taking hold, that monetary conditions keep in check, because remember that if they go out of this extraordinary stimulus, it will be very difficult to come back because it’s a very politically sensitive topic. U.S. 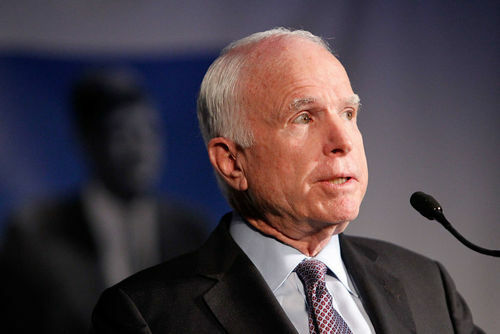 Senator John McCain says Russia is the greatest threat to the U.S. - more so than ISIS. Speaking to Australian media, the Chairman of the Senate Armed Services Committee said he hopes the Senate will bring new sanctions against Russia in retaliation for attempting to influence the U.S. Presidential election. Meanwhile, President Trump publically defended Senior Advisor and son-in-law Jared Kushner from reports that he sought to establish back-channel communications with the Russian government. Take part in our trader poll and tell us what you'd buy for $1,000. 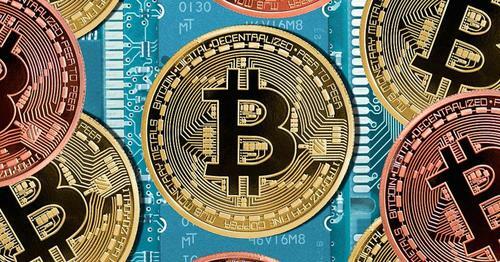 Would you buy stocks in tech companies Amazon or Alphabet, buy the cryptocurrency bitcoin, or look elsewhere? Trader poll: What would you buy for $1,000? For this week's trader poll, we want to know what you think traders should buy for $1,000. With just 10 days to go before the UK general election, the Labour and Conservative leaders have both been through a TV grilling. Theresa May and Jeremy Corbyn took part in one-on-one interviews, and answered audience questions, but they did not appear on-stage together. Here are some of the highlights from Theresa May and Jeremy Corbyn's TV performances. A Dutch court has ruled in AkzoNobel's favor, saying the paint company was within its rights to not enter talks to be taken over by PPG. PPG must now decide by June 1 whether to officially submit bidding papers or stand down for six months. Activist investor Elliott Advisors - which led the takeover push - said in a statement it was "surprised and disappointed" by the court's decision. Shares in AkzoNobel rose yesterday. It's been a tough couple of days for British Airways and its stranded passangers. But does the meltdown at BA provide an opportunity for its rivals? 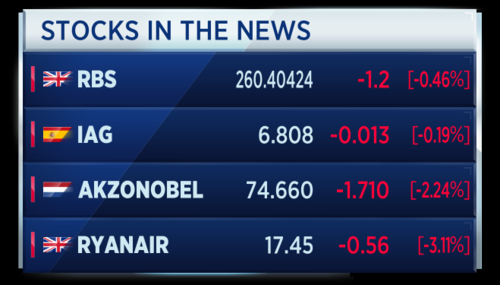 CNBC will be speaking to Neil Sorahan, the CFO of Ryanair, later this morning. Ryanair has posted a record annual profit, but the budget airline remains cautious on fare levels going into the summer season. However, the airline forecasts fares will fall more than 5 percent in the year ahead. 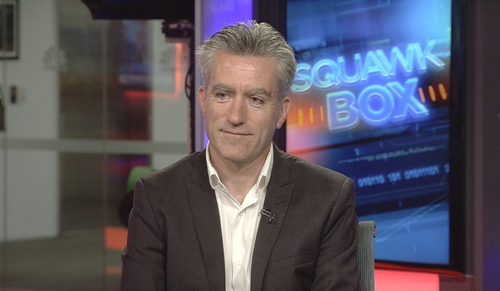 Neil Sorahan, CFO of Ryanair, discusses the results. We’re going to increase our passengers from 120 million last year to 130 million, so that’s an 8 percent increase in customers over the current year. As is always the case at this time of year, very limited visibility into forward bookings across the winter. Almost zero visibility for the second half of the year and we have limited visibility at the all-important close-in Summer bookings. Sorahan said the company is guiding prices down in the region of minus 5 to minus 7 percent, which is good for customers. 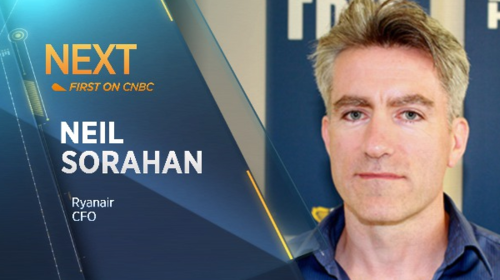 On the topic of Brexit and U.K. politics, Neil Sorahan, CFO of Ryanair, says the airline’s biggest concern is the lack of certainty for the year ahead. We need to get some kind of clarity on whether the U.K. is going to stay in the Open Skies, it looks like they’re not and if they don’t then we need to see some movements be made in relation to negotiating bilateral agreements. If these bilaterals are not negotiated by October 2018, then the change they’ll be ratified by March 2019 are very slim, which means a distinct possibility of no flights in and out of the U.K. for a period of time. Days, weeks, months, we don’t know. Sorahan says its hugely important for the U.K. government to address this issue, in order to protect and grow the U.K. tourism sector. Spanish-listed shares in IAG closed nearly 3 percent lower in yesterday's trade after a worldwide IT power outage forced British Airways to cancel hundreds of flights. The travel chaos left thousands of passengers stranded at London's Heathrow and Gatwick airports. The airline says its systems are now back up and running again, adding it will be operating a full service from today. It warned, however, that it may take time for bags to be reunited with travellers. A mixed day for Asian stock markets. 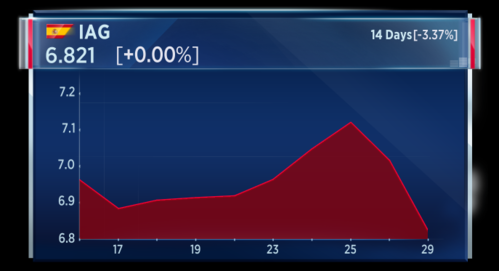 The Japanese Nikkei has recovered after falling 0.3 percent earlier in the session, dragged down by a stronger yen. Meanwhile, South Korea's stock index earlier fell 0.5 percent as investors took profits. Markets in China, Hong Kong and Taiwan are closed today for public holidays. French President Emmanuel Macron met with his Russian counterpart Vladimir Putin in Versailles. They discussed a number of issues including the war in Syria, Ukraine and LGBT rights in Chechnya. Here are your top headlines for this hour. A victory in court for AkzoNobel. A judge rejects activist investor Elliott's call for action against the company and tells PPG it needs to put-up or shut-up on a bid offer. Ryanair forecasts fares will fall more than 5 percent in the year ahead, after posting full-year profit at the lower end of its guidance. The company's CFO told this programme Sterling's weakness in the wake of Brexit was having an impact. Citi has announced the sale of its fixed income analytics and index businesses to the London Stock Exchange Group. The sale has a total cash consideration of $685 million, depending on adjustments. The decision follows a strategic review process by Citi, and believes the LSEG will optimize outcomes for the businesses. Greece's Finance Minister says he is confident a deal to ensure the country's debt relief will be reached at an upcoming Euro Zone meeting, to be held on June 15. 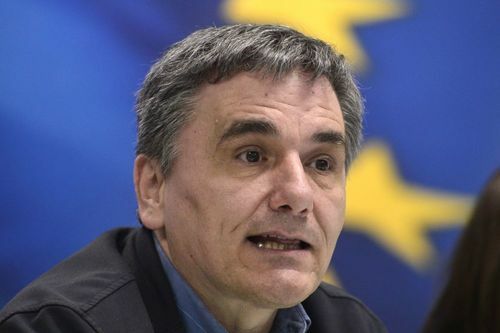 Euclid Tsakalotos called on the country's lenders to "not procrastinate at the expense of the Greek economy." The comments come after Euro Zone finance Ministers failed to reach an agreement with the International Monetary Fund last week. The opposition party in Venezuela has accused Goldman Sachs of funding a dictatorship. The comments follow a Wall Street Journal report that states the investment bank has invested $2.8 billion in the country's bond market. Opposition party leader Julio Borges wrote to Goldman CEO Lloyd Blankfein, warning him that if he comes to power he could forgo repaying the debt. Venezuela has been rocked by anti-government protests over the last few months, as the country's economy has suffered along with the oil price slump. 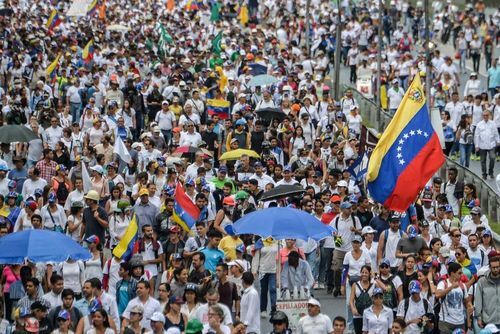 Opposition activists march against President Nicolas Maduro's government in Caracas on May 29. 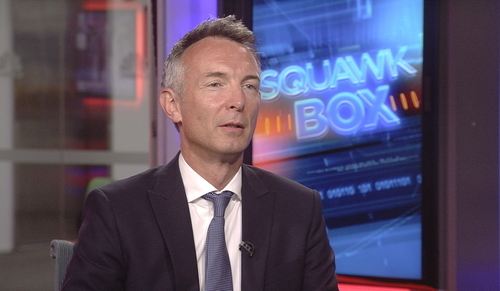 CNBC's Willem Marx reports on the candidates' performances. Both the candidates essentially were grilled on the distinction between their personal views and their public views. Now for Jeremy Corbyn, life-long activist on the left-wing of British politics, he’s said that for instance he wants to abolish the British monarchy, he didn’t believe in Britain having a nuclear deterrent, he wanted to nationalize the banks. All three of those issues he said he was willing to forego on a personal level because they were part of his party’s manifesto. He didn’t see that as a problem because he wasn’t quote “a dictator”. 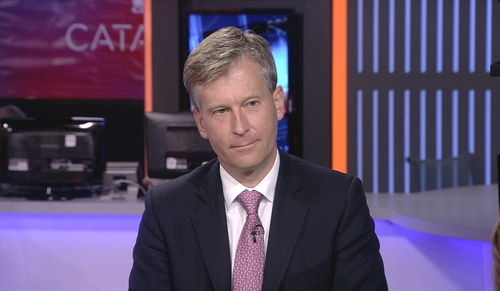 Lothar Mentel, chief investment officer at Tatton Investment Management, weighs in on the U.K. election and whether or not polls indicating the Conservatives will win the vote. You should these days never rule out that the pollsters may have got it right this time and the trend is going towards Corbyn, but I still think there is an overwhelming majority for a Conservative government, it’s just is she going to come out really strengthened from this or just a little bit stronger than was expected. 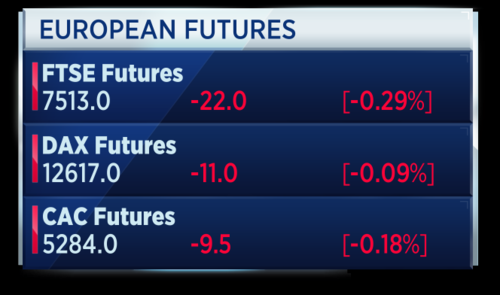 Just over half an hour until the opening of European markets, and future values call for a negative open. A Dutch court has ruled in Akzo Nobel's favor, saying the paint company was within its rights to not enter talks to be taken over by PPG. PPG must now decide by June 1st whether to officially submit bidding papers or stand down for six months. William Mace, senior reporter at ActivistMonitor, says the news is a big hit for Elliott Advisors and PPG. PPG is going to have to make a big decision right now whether it ups the offer or goes hostile to the shareholders. It’s said it hasn’t wanted to up until now. It really needs to hit that before the June 1 deadline to see if it can get a bit out there. It’s also seeking to extend the put up or shut up deadline, so depending on whether that comes through it’ll have to make a decision basically this week. French consumer confidence for May rises to a near 10-year high of 102, higher than the 101 forecast and beating April's reading of 100, according to INSEE. French consumer spending in April rose 0.5 percent month on month, versus a fall of 0.1 percent in March. Lastly, French Q1 GDP grew 0.4 percent quarter on quarter, revised up from a preliminary reading of 0.3 percent. 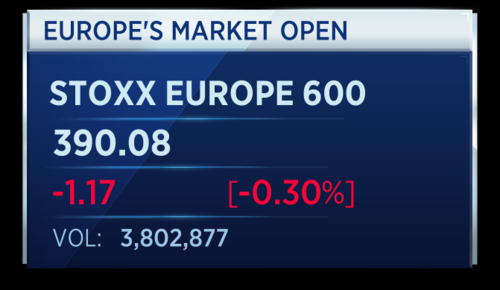 The pan-European Stoxx 600 slips at the start of Tuesday trade, down around 0.3 percent. All sectors barring travel and leisure are in the red at the start of European trade. 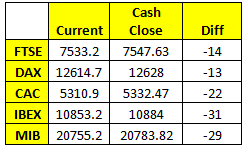 Banks and autos are leading losses. Click or tap on the arrows to switch between slides. Here are the stocks to watch in markets today. RBS' shareholder Action Group has reached an out-of-court deal to settle a lawsuit, which aimed to hold to account former disgraced CEO Fred Goodwin. This over a £12 billion cash call in 2008. The group said it had accepted an offer of 82 pence per share in a move that will cost state-owned RBS £200 million. British Airways says it will be operating a full service from London's Heathrow and Gatwick airports today after announcing that its computer systems were back up and running again. It warned, however, that it may take time for bags to be reunited with travellers. This after a worldwide IT power outage forced BA, part of IAG, to cancel hundreds of flights, leaving thousands of passengers stranded. 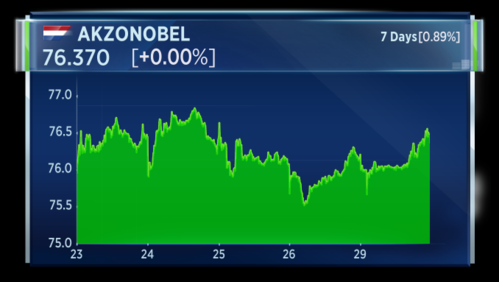 Akzo Nobel shares are near the bottom of the Stoxx 600 index, that's despite a victory in court for the company. A judge rejected activist investor Elliott's call for action against the company and tells PPG it needs to put-up or shut-up on a bid offer. Ryanair has posted a record annual profit, but the budget airline remains cautious on fare levels going into the summer season. The carrier also said that net profit is at the lower end of its forecast, but in line with analysts expectations. 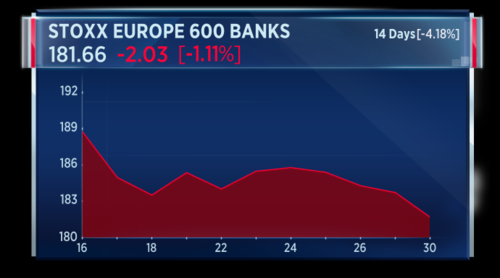 The banking sector is the worst performer on the Stoxx 600 today, down more than 1 percent. This after Deutsche Bank cut European banks to underweight saying the sector no longer has support from valuations. The German lender added it was expecting Euro area growth momentum to fade. 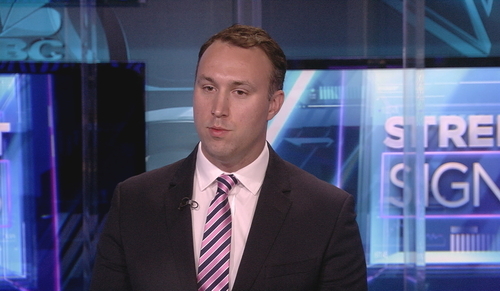 Joe Prendergast, head of financial market analysis at Credit Suisse, discusses the impact of Mario Draghi’s recent message that the stimulus measures are here to stay. The message caused the euro to weaken. If you look forward, because interest rate differentials are so wide between the U.S. and the euro area, you only have to go out 5, 6 or 7 years before you start reaching the $1.30 level as being priced in by the forward curve, so if I’m a euro-based investor investing in the U.S., the euro really has to rise a long way already for me to break even, so it’s a very attractive idea to invest in dollars out of euro. Here are the top headlines following the market open. Losing altitude. U.K.-listed shares in IAG sink to the bottom of the Stoxx 600 in the wake of the British Airways IT system melt-down. A victory in court for AkzoNobel sends the paint makers' shares lower. A Judge rejects activist investor Elliott's call for action against the company and tells PPG it needs to put-up or shut-up on a bid offer. Ryanair forecasts fares will fall more than 5 percent in the year ahead, after posting full-year profit at the lower end of its guidance. The company's CFO told this programme Sterling's weakness in the wake of Brexit was hurting fares. Spain's flash reading of May EU-harmonised CPI grew 2 percent year on year, matching forecasts, but lower than April's 2.6 percent inflation, according to INE. 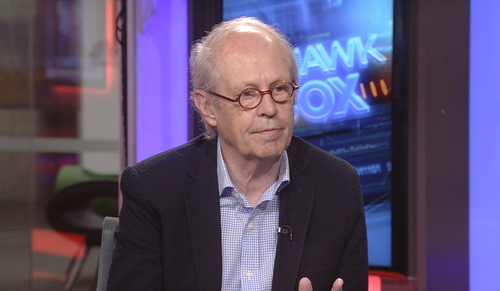 Colin Stanbridge, CEO of the London Chamber of Commerce and Industry, says business issues other than Brexit are not being addressed in the run-up to the U.K. general election. (In our manifesto) we also talk about the other things that are worrying business: lack of skills in the workforce; investment in infrastructure; whole areas where I think business needs some more from the politicians about what they’re going to do should they be elected. The pan-European Stoxx 600 remains down around 0.25 percent. Here's a look at the individual European bourses, where the German DAX and Portuguese PSI 20 are in positive territory, while other indexes are sharply lower. Former Panamanian dictator, Manuel Noriega has died aged 83. The country's President, Juan Carlos Varela, says a chapter in Panama's history closes with his death. Noriega ruled the central American state from 1983 until 1989, when the U.S. invaded and removed him from power for corruption due to his links to drug cartels. A Greek government spokesperson has denied reports that the country is ready to opt out of the next bailout payment, if creditors fail to agree on debt relief. Greece hopes to reach a solution on debt relief during a meeting of euro zone finance ministers later next month. These are your top headlines for the hour. Losing altitude. U.K.-listed shares in IAG sink near the bottom of the Stoxx 600 in the wake of the British Airways IT system melt-down. Ryanair forecasts fares will fall more than 5 percent in the year ahead, after posting full-year profit at the lower end of its guidance. The company's CFO told CNBC sterling's weakness in the wake of Brexit was hurting fares. 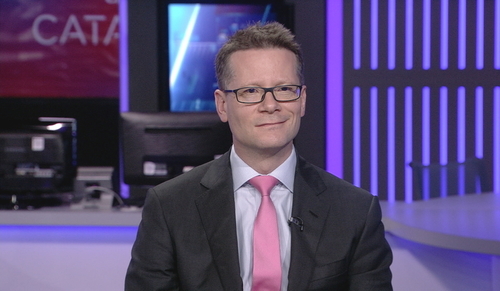 Nick Gartside, international CIO of J.P. Morgan Asset Management, says the comments from ECB President Mario Draghi, saying that stimulus measures are here to stay for some time, are starting to look a little bit odd. Extraordinary measures are suitable for extraordinary times and categorically we are not in extraordinary times now. Look at Eurozone economy, it’s on fire, growth is way above trend and it’s shooting the lights out, so it does look a little weird. When you look at it though, maybe the ECB are very wary of doing a 2011 and remember that was the year when they hiked rates in April, hiked rates in July, to cut them by the end of the year. The London Stock Exchange has agreed to acquire Citi's fixed income analytics, yield book, and fixed income indices for $685 million. Citi said the transaction represented a strategic decision following an in-depth review. The deal is expected to close in the second half of this year. Shares in LSE are marginally higher on the news, up 0.18 percent. 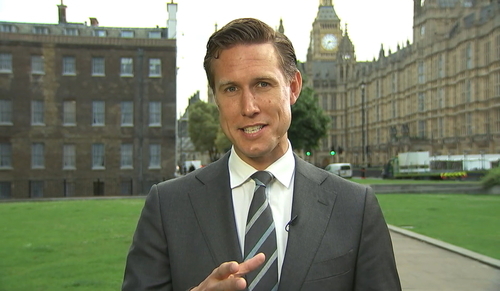 CNBC’s Willem Marx reports following last night’s televised appearances by Theresa May and Jeremy Corbyn ahead of the U.K. general elections. The political leaders faced questions from members of the public. Analysts disagree on who came out better from the event. 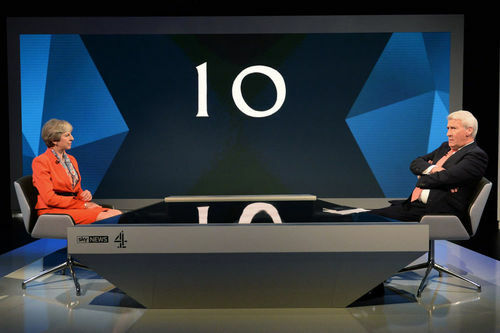 Both of them faced some very, very difficult questions but neither of them really stumbled too dramatically, especially under the historically and rather famed grilling that Jeremy Paxman, the former BBC anchor, often delivers to his guests. One of the things he managed to do was tease out the differences between their personal beliefs, or their historical beliefs and the current policies. For Jeremy Corbyn, these included his views on the British monarchy and its nuclear deterrent. For Theresa May, this included her views on Brexit; May had campaigned for remain in last year’s referendum. Alex Greer, research officer at Open Europe, says last night’s televised appearances by Theresa May and Jeremy Corbyn didn’t reveal anything the British public didn’t already know about the political leaders. Jeremy Corbyn came across as amiable and idealistic, yet perhaps a little shifty when it came to policy detail and talking about his own past. Whereas with Theresa May she came across as patriotic, professional, but a little uncomfortable when it came to addressing aspects of her record on changing her mind, and a little remote perhaps as well. So, we didn’t necessarily learn too much but in the context of the tragic events of last week, I think this was very much an effort by both sides to reset the campaign on ground that they were comfortable on. U.S. stocks are called marginally lower, according to future values. 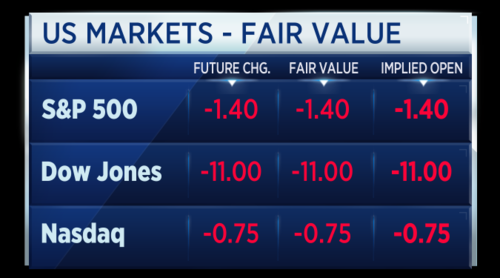 The Dow Jones is called to open down 11 points, while the S&P and Nasdaq are called around 1 point lower. 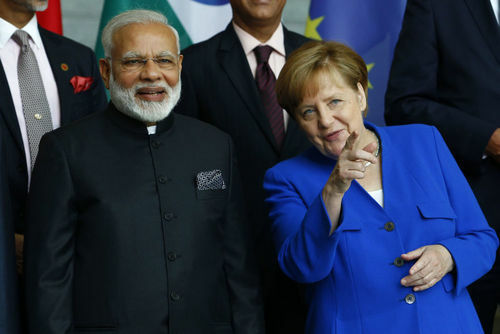 Indian Prime Minister Narenda Modi has met with his counterpart Chancellor Angela Merkel for bilateral talks on issues of trade, Brexit, and tackling terrorism. The two met at the Chancellor's official country retreat outside of Berlin. Germany is the first stop on the Indian PM's four-nation trip, where he will also be visiting Spain, France, and Russia. Meanwhile. Angela Merkel's main rival Martin Schulz criticized the way Donald Trump treated the Chancellor at the NATO summit last week. In a video published by the Deutsche Welle news agency, Schulz railed against the US President saying the Chancellor represents the whole country during international summits.